Rehab exercises are helpful for fitness and wellness. The physical therapy exercises below are designed to take the stress off of overworked muscles and joints by strengthening muscles that tend to be weak and stiff. Exercises like these can make everyday activities such as reaching overhead, working at your desk, squatting, or climbing stairs feel much easier. Use these routines to build the fundamental strength in problem areas before you start a more aggressive exercise program. Maintain good body alignment and work through the full range of motion as illustrated so you can isolate the specific muscle groups you need to strengthen. 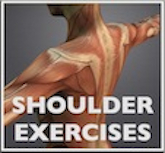 Because these exercises are more focused, you’ll feel muscular fatigue in specific areas. You will not get a sense of general fatigue as you do with a fitness routine. Note: if you have an injury or medical condition, please see your doctor or health care provider and follow their instructions. 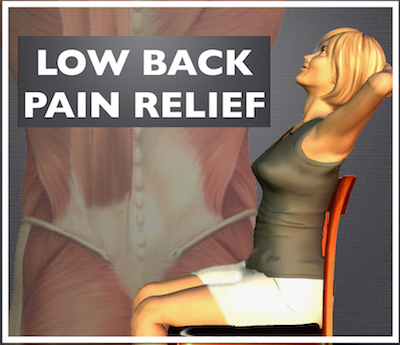 Gentle spine movements and stretches combined into a routine to relieve stress and discomfort in your spine. Improve spine mobility and relax your muscles with the cat camel exercise, gentle hip stretches, and the press up, an abdominal stretch that often relieves back pain. 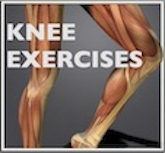 Knee exercises Isometric and range of motion exercises that can help if you have difficulty squatting, climbing stairs, or balancing on 1 foot. Practice this routine 1-2 times per day to rebuild the base strength in your knee. 6 moves, plus a warm up, to help improve your strength for lifting, overhead movements and throwing. Graduate to this routine from the shoulder exercises above. Isometric, active and resistance band exercises to help rebuild the basic strength in your shoulder. Practice these exercises 1-2 times per day for best results. 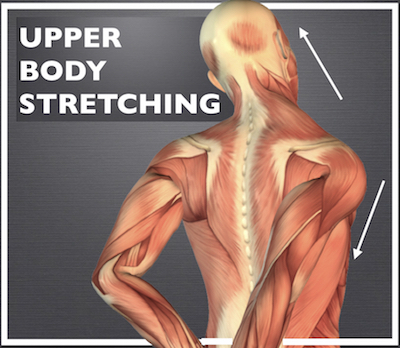 8 stretches for your shoulders, neck and arms. 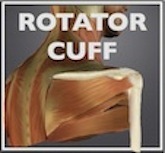 This routine works well paired with the above shoulder routines as it will improve flexibility in the area. Convenient routine can be done at your desk. Practice consistently & make gradual progress. 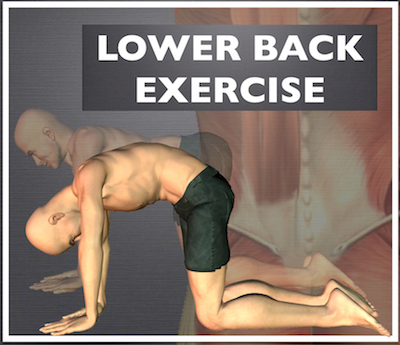 Practice the physical therapy exercises daily (or as instructed in the article) and the routine will get easier. Follow the instructions on the page to increase reps or progress to the more challenging exercise. When you can complete the full routine fairly easily, “graduate” yourself to the next level. For best results from these exercise programs, continue to be as active as possible to maintain your strength in the rest of your body. For example, if you have a stiff, weak shoulder, that doesn’t keep you from going for a hike or a brisk walk! 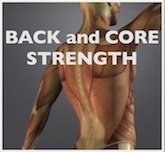 And core strengthening can be very helpful for people with knee problems. 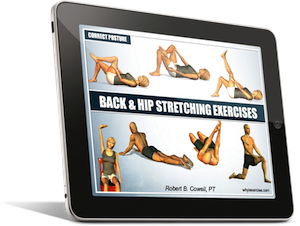 Although these physical therapy exercises are helpful, they are not a substitute for proper medical care. Please see your health care provider before starting any exercise program, particularly if you have an injury or medical condition. 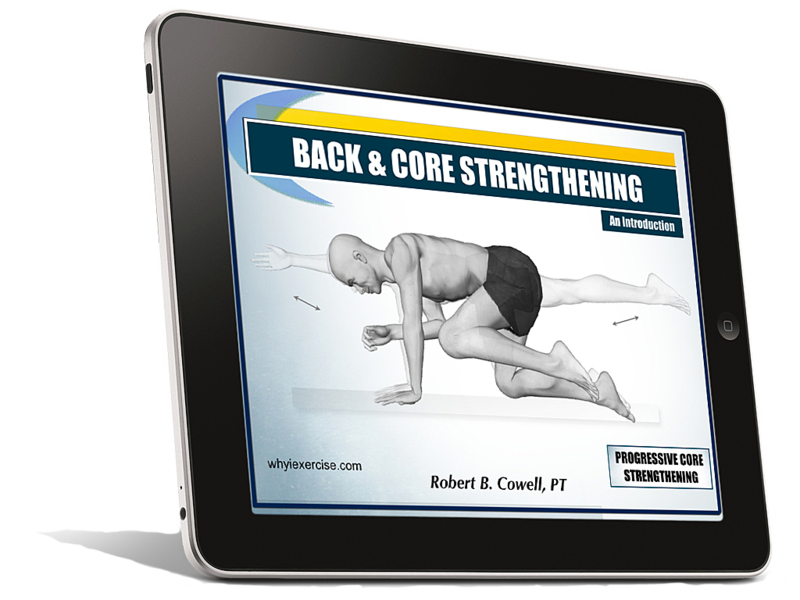 An introduction to my exercises and therapy tips for the lower back. 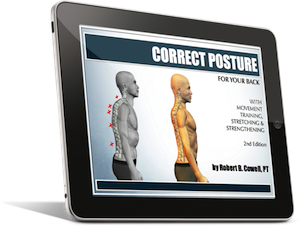 Articles include exercises for strengthening, stretching and posture correction, plus ergonomic tips. Illustrations and videos help you learn the techniques more easily. 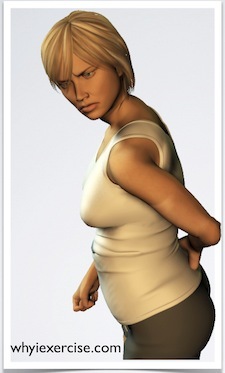 Return from physical therapy exercises to home page: Why I exercise.